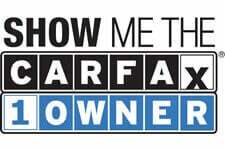 CARFAX 1-Owner Passat and CARFAX Buyback Guarantee qualified! This Volkswagen Passat also includes Power Driver's Seat, Cruise Control, Power Steering, Power Windows, Steering Radio Controls, Power Mirrors, Lthr. Steering Wheel, Driver Airbag, ABS Brakes, Passenger Airbag, Intermittent Wipers, Side Airbags, Keyless Entry, Rear Defogger, Security System, AM/FM, Anti-Theft, CD Player, CD Changer, Touch Screen, Satellite Radio, Cup Holders, Remote Trunk Lid, Vanity Mirrors, Center Console, Heated Mirrors, Child Proof Door Locks, Daytime Running Lights, Side Curtain Airbags, Roll Stability Control, Tire Pressure Monitor, Chrome Exhaust Tips, Aux. Audio Input, HD Radio.